Former Inspector General of Police who soon after his retirement joined Hindu nationalist Bhartiya Janta Party before 2014 Lok Sabha elections has been given charge of party’s Minority Morcha affairs in farthest North-Eastern state of Nagaland. Khan who was given a clean chit by CBI for his alleged role in Pathribal fake encounter in which five civilians were burnt alive has seen a steep rise in Amit Shah led BJP. Reports quoting Khan said that he is a “true nationalist”. 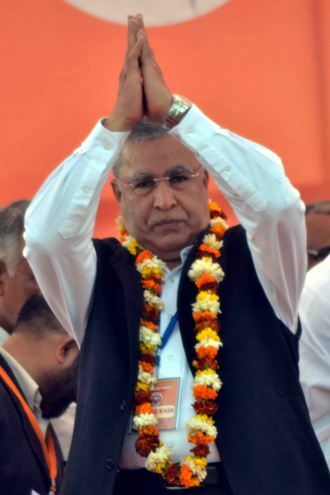 “I had been associated with the BJP during my college days and my earlier career days,” he said. As a cop, Khan led to the clearing of the famous Hazratbal shrine in 1996 in which 18 militants were killed. Khan has been also the mind behid creation of Task Force wing of JKP.